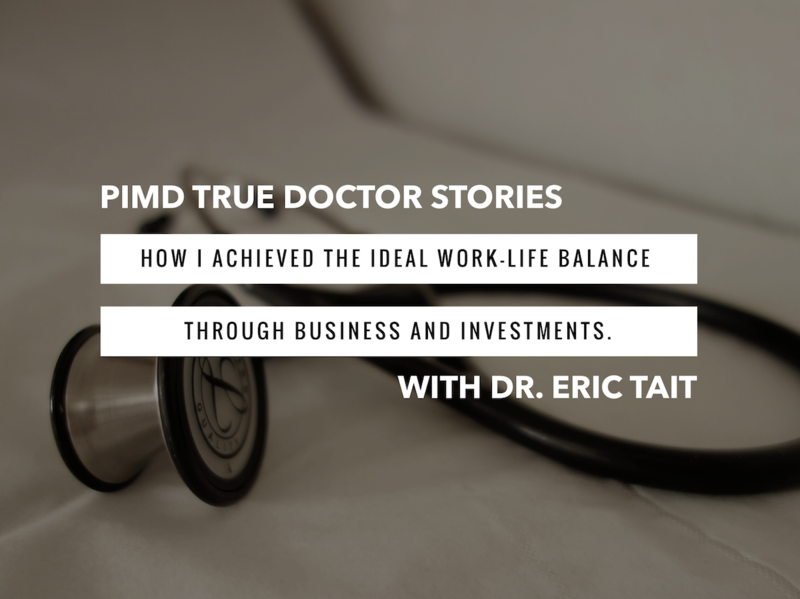 How I Achieved the Ideal Work-Life Balance Through Business & Investments | Passive Income M.D. Editor: We’re back with a new edition of True Doctor Stories. I couldn’t be more excited to introduce Dr. Eric Tait. He is a board-certified Internal Medicine physician, who also happens to have an MBA. Not only is he still practicing in a large multi-specialty practice, but he is also the President of Vernonville Asset Management (VAM), a boutique private investment firm focused on alternative investment strategies. How’d you come up with the idea for the company & how did you get started? Starting the company was purely an accident. My wife and I were just doing our normal investing – we don’t believe in using the stock market as an investment vehicle so we made quite a few private investments*. A few of my physician colleagues asked if they could invest with us, and I wasn’t initially sure if that was legal. I checked with a securities attorney and they explained that pretty much all of the private investment banking firms at the time (pre-2008 crash) were private partnerships. So as long as I had the correct paperwork and risk disclosures, we could have other physicians invest right alongside us. Why did you get started? What was your motivation? I have no particular desire to escape medicine, what I do have is a burning need to control my own time. I realize that everyone’s labor will eventually fail, either through physical ailments or motivational desire. What I didn’t want to have happen was to ever reach a point in my life where I felt like I was trapped by my job/practice to maintain my financial well-being. So I had to uncouple my labor from my lifestyle. This dilemma is not particular to the medical profession. I firmly believe that all people need to be working toward financial independence where their investments generate income to cover their expenses. It is better to be prepared for a time when you have to take a break or sabbatical than to need to take one and you are not equipped for it. How much time are you putting into running the company? I like to separate out the running of VAM, the investment firm, and enjoying the fruits of the investments that VAM makes. If I am just looking at the investments that VAM makes and my role as a passive investor in them, then I spend maybe 4-5 hours a month on it, and the bulk of that is spent on the 2 dozen or so single-family homes that I manage. If we look at VAM the investment firm that goes out and chooses the investors that we will accept into our investments, looks for new investment opportunities, and interfaces with banks, developers, prospective businesses to invest in etc…. That is closer to 5-10 hours a week, but VAM is an active investment firm, not a passive investment. It is the vehicle through which we have decided to allow others to invest with us, so I have taken that on as a responsibility. Yes, I practice clinically in my office one day a week still and as needed if a patient needs to come in on another day. I have a hybrid practice where I take care of a subset of patients that belong to a Medicare insurance plan where we are a full risk sharing partner. I then have a cash pay side of the practice for commercially insured patients where I charge a flat $100 fee. My patients can then send in their bill to be reimbursed from their insurance company. I have basically rid myself of the bureaucratic hassles of modern day healthcare. How are you able to balance between Vernonville, being a physician, having a family and all your other hobbies or leisure activities? Where do you find the time? It all starts with choice, choosing to do take on jobs and opportunities that supported the life that I was creating and where controlling my time was the most important thing. When I evaluated the types of jobs or income producing opportunities that would come my way, I always asked myself this 1 question. “Is this something where I can do the work on the front end, and then have it pay me for the next 10-15 years”, if the answer was no, I declined to do it. So when I came out of residency I joined a group where I knew that I would only work in an outpatient setting and only 4 days a week. I was willing to take less money to have more time, because I knew I could make money outside of medicine without having to sacrifice my time. Once the professional side of my life was set, I turned my attention to the investing side. Since I only invest in passive income projects right now, I get to choose when and how I do that, and that allows me to create a well-balanced life with time for family, friends, and leisure. What are those hobbies or leisure activities? How do you let off steam / deal with all the stress? I am a really simple person, I had one dream concerning my leisure time when I was growing up, and that was to have a house on the water. I was fortunate that I went to residency on an island and we could purchase just such a place at an early age. So for me, going there on the weekend, relaxing on the deck or my man cave with a nice cocktail, some music, a cigar, a good book etc… is all I need. But also, [through VAM], because we invest in projects in beautiful places, The Caribbean, Central America etc… that allows us to mix vacation and “business” at the same time. We get paid to live the life that we want to live. How has the income from the company impacted your practice of medicine? Do you consider it passive at all? Our investments have allowed me to move to 1 day a week clinically. So on purely the investment side, it is what I would consider semi-passive, and that is only because self-managed single family homes can never be truly passive. But the amount of time I spend on it is less than most people spend in line every month getting their morning coffee. VAM, on the other hand, is not passive right now because we are building a company helping other physicians achieve passive income and control over their investment lives. This is an active business, but I do control when I want to work on it. How has the income from the company impacted your family life? 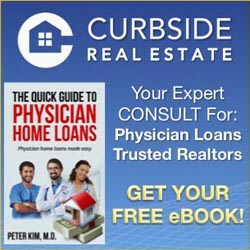 My wife and I had over 300K in student loan debt coming out of residency, but we have never really had to stick to a household budget or save money. Now, neither of us are profligate spenders, but we do not count every penny, we don’t have to think about taking a vacation, or making major purchases. Don’t get me wrong, we’re not flying the world on private jets, but for a couple of primary care docs we do ok for ourselves. I am at all of my children’s school and extracurricular events, I take them to school most mornings and I am usually relaxing at home on the weekends unless I am traveling looking at potential new investments or going to personal development seminars. I would have invested in larger projects earlier, I would not have bought so many single-family homes. In the real estate space, bigger projects with multiple investors tend to be less risky and are much more hands off than smaller projects. The usual investing continuum is to go small then big, but this is not a necessity. The older I get, the less I want to deal with management issues, and on our larger projects we hire professionals whose sole job is to manage the project. So my advice to others is to get into larger deals earlier in your career. Do it as early as possible, debt that generates income is your friend, and inflation is your friend if you own real assets. Let me explain a bit – prices of real assets (land, real estate, income producing businesses) tend to go up over time, it is not a guarantee, but it tends to happen. The exact opposite thing happens to cash, its ability to purchase assets goes down over time. Don’t sit in cash! We and our investors have benefitted not only from cash flows, but also rising asset prices over the past 7-8 years. So while others are waiting for the “perfect time” or the “perfect investment”, all prices continue to rise and the value of cash continues to fall. As it relates to debt, if you can borrow at 3-4% interest but are making 5-6% on an investment you are winning all day every day. Combine that arbitrage yield spread with inflation that runs between 3-6% and you have basically borrowed money for nothing. The caveat, of course, is that the asset you purchased with the debt needs to be generating cash flow or you must be able to pay the debt while the price of the asset increases. So, get started early! So I have to know, what’s the story behind the name of your company, Vernonville? The name of the company is an interesting story and a bit of an inside joke. I am originally from Mount Vernon, New York. The colloquial nickname for the town is Vernonville, so those that know me from elementary school and high school know exactly the origin of the name. How can people contact you if they’re interested in learning more? I’ve first read about Dr. Eric Tait when he was featured on WCI and I’m glad to read that life is going well for him. 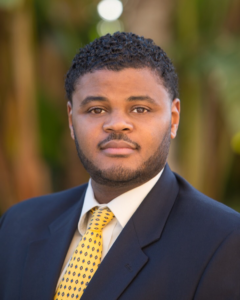 Very inspiring story with his move to passive income and practicing medicine. Keep up the good work! I appreciate the sentiments. It is a steady progression over time of just adding to the asset column each and every year. As I tell my investors, this is a marathon not a sprint, 10 years will come whether you change your investing behavior or not, what do you want your investments to be doing for you in that time? I always wonder if investing in real estate for a beginner is really a passive process. I have been looking at the properties here in Southern California for investment purpose. 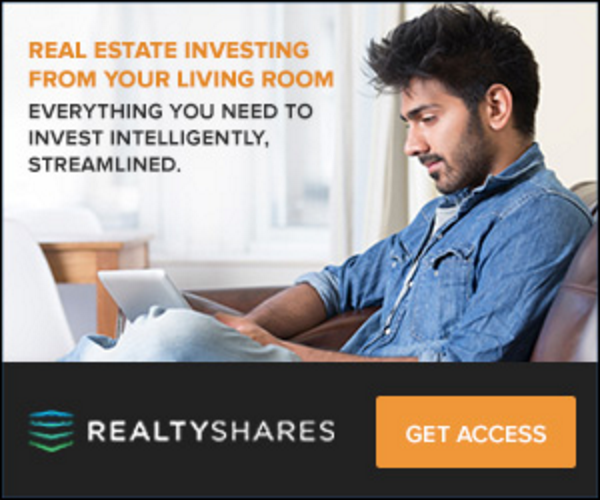 The main factor that discourages me for getting into real estate is in contrast to equity market it in no way appear to be “sit and watch it grow” kind of a deal. 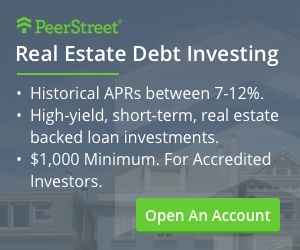 I’m curious to know your opinion of investing with some of the popular crowdfunded real estate sites. I’ve made a few investments to get my feet wet, our friend PIMD has had some success with it, and the opportunities allow you to access some deals with very little (perhaps too little) effort. I realize the extra layer of management reduces returns, but also makes the investment 100% passive as opposed to semi-passive. I’d be interested in a quick compare and contrast with the types of deals you’ve made. I’ve mainly invested in stock and bond index funds, and I’ve invested a little play money in small breweries, but outside of recent crowdfunded RE deals, have not made any other alternative investments. Let’s get all of my conflicts on this topic out of the way first, as I usually steer clear of the crowdfunding threads lest I be accused of talking my book. Full disclosure our investment firm has been approached by some of these crowdfunding sites to put our projects on them and we have passed. For those that don’t know, we have a investment firm that puts together syndications where physicians and other investors can participate in larger investment projects (real estate, debt, private businesses). Crowdfunding in and of itself is not a bad medium through which to gain exposure to these types of syndication projects, especially if you have less than 25K to invest. Ultimately, crowdfunding is just another way to accomplish group investing to buy into larger projects, it all comes down to you as the investor’s comfort level with the opportunity, and the sponsorship team behind that opportunity. The only difference between going directly to a sponsor (someone like us) and a crowdfunding portal is that the portal supposedly does some amount of vetting of the project and the people. What most people do not realize is that sponsors with experience are not going to subject themselves to the fees that these portals charge on our end, and the paperwork burden that they impose. Also, many of us want to know who it is we have investing in our projects and want the ability to choose those people whom we think we will have the best working relationship with. We are not looking for a one time transaction, we are looking for a long-term relationship. So often times, the best projects will never be placed on these portals. Now, that is not to say the projects on the portals are bad, I have not really looked at them so I cannot render an informed opinion. So as with everything, it all comes down to the investor and how closely they want to know and interact with the sponsor of an opportunity. If you want your real estate investing to be as passive as a mutual fund, then crowdfunding will allow that. But if you want to have access to the sponsor and cultivate a relationship with that person, you are better off looking for private sponsors. For a physician to even have some spare time to do anything else besides his work, you must be a dedicated person. We are all working towards financial independence one or the other and your story is very encouraging.